To provide alumni of the Hopewell Valley Central High School jazz ensemble an opportunity to rehearse and perform jazz in a standard jazz ensemble setting, akin to their scholastic jazz ensemble experience. The ensemble is under the direction of Jack Furlong. Members are required to audition for entrance into this ensemble. Auditions are held prior to the start of each summer. Every effort will be made to keep as many musicians as possible in the top three tiers of eligibility (see below). Instrumentation is standard jazz ensemble, including five saxophone parts (possibly including doubles), four/five trumpet parts, four/five trombone parts, and standard rhythm section (guitar, piano, bass, drum set, plus possibility of vibes and auxiliary percussion). The ensemble rehearses Thursdays from 8-9:15pm during the Summer season in Hopewell Borough. Specific information for the group is distributed in the form of a syllabus at the first rehearsal each season. Member must be an alumni of HVCHS, having successfully graduated and received a diploma. Member must have also spent at least one full year as a member of the HVCHS jazz ensemble. Member must have attended HVCHS for at least one full year before transferring to another high school. Member must have successfully graduated and received a diploma from another high school. Member must have also spent at least one full year as a member of the HVCHS jazz ensemble. Member must have directed the HVCHS jazz ensemble for at least one year. Member must have been employed at HVCHS for at least three full years. Member must be an immediate family member of someone who would qualify for Tier 1 or 2. An immediate family member is defined as a biological or legal parent or sibling. Member must be employed within the Hopewell Valley Regional School District for at least five full years. 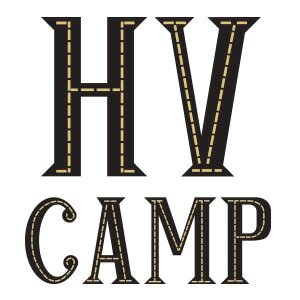 Member must be a member in good standing in at least one other ensemble under the umbrella of HV CAMP. Member must petition in writing providing evidence or argument for eligibility into ensemble. Petition must be approved by director and only guarantees member the opportunity to audition. In any situation of discrepancy, members who fall into higher tiers receive priority regarding entrance to the ensemble. For example, if two members of equal ability both audition for the same part, but one is Tier 1 and the other is Tier 5, the member who is Tier 1 will be admitted.